Trey was born and raised in the city of Petersburg, Virginia. He also spent about 7 years living in Baltimore, Maryland due to his mother marrying a man in the army. When he was a child, he did not receive any rigorous voice or piano lessons but instead was engaged in the normal activities for a child of his age. His mother, however, seeing his ability, encouraged him to develop his singing talent by entering him in local talent shows, many of which he won. With these victories, he began to make a name for himself. By age 15, Songzï¿½s fame enabled him to meet his producer and mentor Troy Taylor, a veteran music producer who has worked with artists such as Patti Labelle, Lionel Richie and Whitney Houston. Impressed by the tenor's voice, Taylor encouraged him to focus on a career in popular music. During the summer, Troy and Trey would go to New York and New Jersey to work on songs and recordings. Trey Songz moved to Jersey City, New Jersey after graduating from Petersburg High School to focus solely on music. Taylor, in turn, focused on teaching his protï¿½gï¿½ music history. "We would go to the New York studio every day, and during the drive, heï¿½d play me all sorts of stuff, like Steely Dan," recalls Trey. "When it came time to learn about falsetto, heï¿½d play me Prince. When it came time to learn about soul, heï¿½d play me Motown. "[cite this quote] Trey eventually became Taylorï¿½s vocal production assistant. Working with other artists in the studio gave Trey valuable technical experience, and prepared the young singer for his own career. In 2004, Songz inked a deal with Atlantic Records, whose rich R&B history made it the ideal home for his unique blend of contemporary R&B and classic soul. Atlantic founding chairman Ahmet Ertegün, who co-founded the label in 1947, hailed the young singer as one of the most promising stars to ever sign with the label and an heir to the legacy of such Atlantic greats as Ray Charles, Aretha Franklin, and Otis Redding. "Just Gotta Make It", which peaked at #100 on the Billboard Hot 100 and only number 50 on the Billboard Hot R&B/Hip-Hop Songs tally. More recently, Songz has garnered greater fame and increased album sales due to his collaboration with Twista on "Girl Tonite", a song from Twista's album The Day After which reached number 14 on the Billboard Hot 100 and number 3 on the Hot R&B/Hip-Hop Songs tally. He wrote and co-produced music for soca artist Kevin Lyttleï¿½s self-titled debut in 2004 and was featured on the Soundtrack to Coach Carter and albums by Trick Daddy, Gerald Levert, and Juvenile. Trey Songz was also featured on Twistaï¿½s 2005 album The Day After. Trey Songz is also good friends with teenage R&B singer Chris Brown. 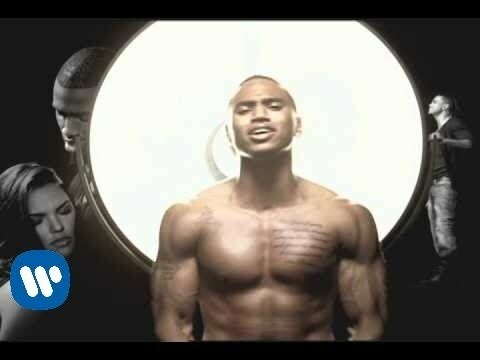 Trey can be seen in the music video for Chris' second single, "Yo (Excuse Me Miss)". Likewise, Chris Brown can be seen in the music video for Trey's second single, "Gotta Go". In April 2006, Trey collaborated with bilingual Japanese R&B/Hip-Hop artist AI on her single Believe, with the track "Beautiful feat. Trey Songz". The duo even performed this track live at the MTV Awards in Japan, where AI won the award for 'Best R&B Music Video' for her ballad-single, "Story". The song was later remixed and appeared on AI's album, What's goin' on A.I., released September 2006. Trey can also be heard on "Why You Wanna Remix" by T.I.. By the end of 2006, Trey made a collaboration with the ex-member of Kabah (the Mexican pop band) Maria Jose. The single is called "Quien eres tu" and Trey Songz can be heard practicing a little Spanish. The song has gained much airplay and digital sales in Mexico and Latin America and has grown to become Trey's most successful song in the Spanish-speaking world. Trey Songz recently began work on his upcoming album Trey Day, which is a follow up to I Gotta Make It and will be his second album under Atlantic Records. It is set to be released October 2, 2007. The first single, "Wonder Woman", was shot on April 4th and feature Angel aka Lola Luv as Trey's love interest. Trey also appeared on Obie Trice's second album, Second Round's on Me on two songs called "Ghetto" and "Mama". He was also expected to appear on Young Buck's new album Buck the World, but failed to make the final cut. Because of the new connections with such Shady/Aftermath/G-Unit associated artists, it is possible Trey will be featured on future projects from these artists too. Trey is also featured on Lil Eazy-E's upcoming single, "This Ain't a Game", along with Bone Thugs-n-Harmony, where he sings the hook. He also appears on Yung Joc's "First Time". 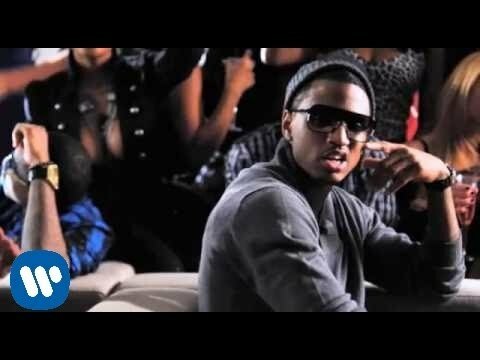 Songz sold slightly under 100,000 records in his first week for his album "Trey Day", despite having a high bullet on his biggest hit to date, "Can't Help but Wait", which is currently in the top 5 on the Billboard R&B charts and in the top 20 on the Billboard Hot 100 -- both of which are first for Trey. Book Trey Songz for shows and concerts at Heavy Rotation booking agency. Worldwide Bookings with HR Booking. Trey Songz Booking, Book Trey Songz. Book artists like Trey Songz, Trey Songz booking agent, contact Trey Songz email, Trey Songz manager, Trey Songz management for concerts, bookings, biography, pictures, videos. Trey Songz may be available for your club shows, private party, festivals or other events.